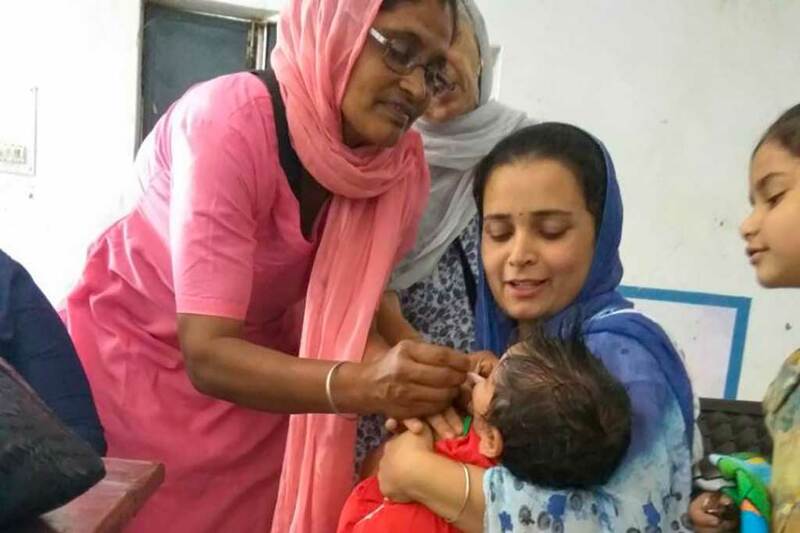 The auxiliary nurse midwife in Maira, Punjab held a clinic to give children vaccinations. She included the administering of Vitamin A. One of the biggest risks of Vitamin A deficiency is blindness. According to UNICEF, preventive Vitamin A Supplementation (VAS) is an essential, evidence-based child survival intervention. A report that studied this in 15 major states across India concluded that it is feasible to have a successful and inclusive programme that can reach all children in need. What this requires is efforts to understand who are the most vulnerable, where they live, and if political decisions are made to give the resources needed to reach these children in a sustainable way. Since 2006, the national and state governments of India along with development partners have made combined efforts to strengthen the organisation of rounds twice a year. The other vaccinations given were pentavalents and measles.